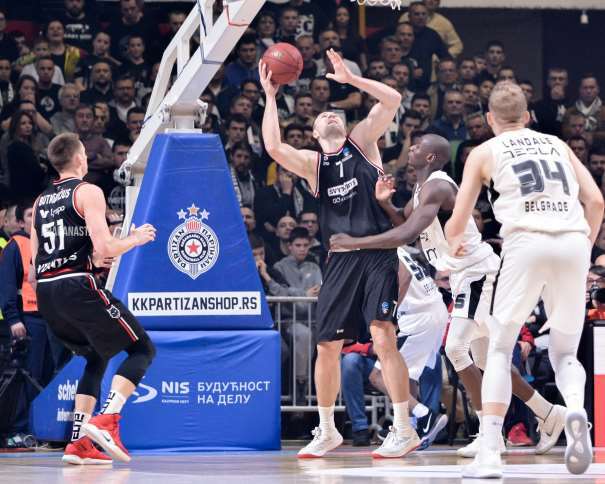 In the EuroCup Top 16 Round 5, Partizan lost 77 – 78 against Rytas Vilnius in a crowded Aleksandar Nikolić Sports Hall (also known as Pionir). 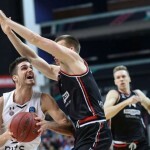 It was a “do or go home” game for both squads, and the Black and Whites were the one who will say goodbye to the European competition, and the team from Lithuania still have a chance to be part of the best 8 clubs in the EuroCup. So, in the next round Rytas will face Monaco in another “to be or not to be” match. The Winner will go forward, and the loser, home. The hero of the match was Artsiom Parakhouski who hit for two in the last seconds. But before those points, Rytas squad missed the shot and while jumping for the ball, lack of communication happened between Partizan players and they sent the ball out. So, the guests had another chance and they managed to use it and celebrate in a packed Pionir. Offensively looking, the away and the home squads had an excellent start so, after the first 20 minutes the score was 40 – 44 for the team from Vilnius. The third quarter was not going very well for Andrea Trinchieri’s squad. The Serbian team was missing for three, but at the end of the quarter they managed to get back in the match (17 – 20) and, before the last quarter, the score was 57 – 64 for Rytas. 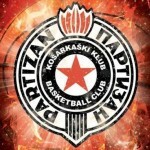 During the fourth quarter, Partizan was trying to return and the players were doing everything. They were getting close and, eventually, at 1:55 before the end, the result was 73 – 73. 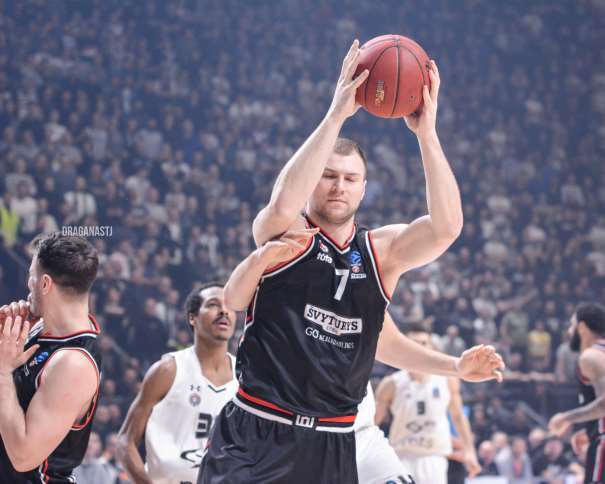 After that, Partizan was also leading and before the last attack of Rytas, Jock Landale scored for 77 – 76. But, at the end, the lack of experience was the main reason for the Black and Whites won’t have a chance to continue their European tour this season. The MVP of the match was the already mentioned hero of the victory, Parakhouski, who scored 22 points with 8 rebounds for an index rating of 30. His teammate, Eimantas Benžius, also had an excellent night. The Lithuanian Small forward had 21 points with 5 rebounds (index rating of 22). Rok Stipčević added 12 with 7 rebounds (index rating of 15), while Chris Kramer finished the match with 10 and 7 assists (index rating of 20). In Partizan, again Alex Renfroe was the best on the court. He finished the game with “only” 11 points, but also had 11 assists and 8 rebounds (index rating of 25), while the top scorer was Jock Landale with 14 points (index rating of 17). Bandja Sy ended the match with 13 points (index rating of 14), and the last with more than 10 points was Vanja Marinković with 11 (index rating of 5).